Connie Sellecca (b. Concetta Sellecchia May 25, 1955) is a producer and actress known primarily for her roles in Flying High, The Greatest American Hero and Hotel. She currently serves as the host of Intelligence for Your Health, an informational radio program that promotes emotional and physical wellness. Beginning in September 2014, Sellecca is slated to co-host the U.S. syndicated TV program Intelligence for Your Life. Born in The Bronx, Connie Sellecca spent her teenage years in the small town of Pomona, New York, attending Ramapo High School in nearby Ramapo, New York. Owing to her success in acting, Connie Sellecca has been offered a number of endorsement opportunities. In the 1990s, Connie Sellecca collaborated with the department store and mail order retailer Montgomery Ward to develop a custom line of jewelry, clothing and intimate apparel. She also established the skin care products line, the Sellecca Solution. The Sellecca Solution offered luxurious, rejuvenating and gentle skin care benefits. It was designed to help refine skin texture and skin tone, as well as improve elasticity and firmness. The Sellecca Solution contained exotic and rare ingredients of Myrrh, Sandalwood and Frankincense, without the presence of perfumes, dyes, heavy oils or harsh chemicals. Connie Sellecca also served as a spokesperson for a MADD (Mothers Against Drunk Driving) parenting project, which featured an interactive program designed to facilitate discussion among family members. 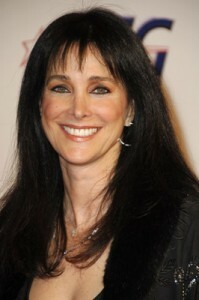 In April 1992, Connie Sellecca married businessman and composer John Tesh, the former co-host of Entertainment Tonight. Sellecca is the mother of two children: son Gil and daughter Prima. 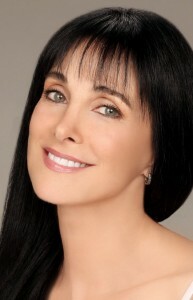 After acquiring a professional agent in the late 1970s, Connie Sellecca received top commercial and fashion assignments in her native New York. Her first screen test resulted in a star-making turn in ABC fantasy film The Bermuda Depths, with Carl Weathers and Burt Ives. A broad array of television series and movies would lift Connie Sellecca to new heights in the 1980s. Connie Sellecca scored leading roles in Flying High, Beyond Westworld, Captain America, The Last Fling, Downpayment on Murder, Brotherhood of the Rose and She’s Dressed to Kill. As part of the talented ensemble of the ABC nighttime soap Hotel (1983-1988), Connie Sellecca gained millions of new admirers. Sellecca’s charming portrayal of Christine Francis earned her a Golden Globe nomination for the show’s fourth season. In the 1990s, Connie Sellecca starred in A Christmas Movie, A Dangerous Affair, The Surrogate, She Led Two Lives, While My Pretty One Sleeps, Something Borrowed, Something Blue and The Doomsday Rock. Hosted daily by Connie Sellecca, the radio program Intelligence for Your Health is one of four key components of The TeshMedia Group’s core brand. The other components include Intelligence for Your Pets, Intelligence for Your Life and Intelligence for Your Love Life. Each component includes informative websites and specially designed products for the active consumer. Connie Sellecca has turned Intelligence for Your Health into a must-hear event each weekend by presenting expert interviews. As new affiliate stations add the program each year, Connie Sellecca continues to gain the influence and respect of her audience. On the upcoming TV program, Intelligence for Your Life (debuting September 2014), Connie Sellecca has established a goal of providing valuable information to attract a diverse audience. Offering a series of short segments, Intelligence for Your Life will encourage listeners to live with purpose and passion. Connie Sellecca designs her programming as a way to encourage progress in their personal and professional lives. The TeshMedia Group, a marketing and advertising company developed by John Tesh, has assembled an impressive roster of clients including Amway, Home Depot, Kohl’s, General Motors, PetSmart, Macy’s and Geico Insurance, among others. John Tesh has been featured on the bestseller lists of Amazon.com, Wall Street Journal, Publisher’s Weekly, USA Today and the New York Times. He was married to Sellecca in 1992.